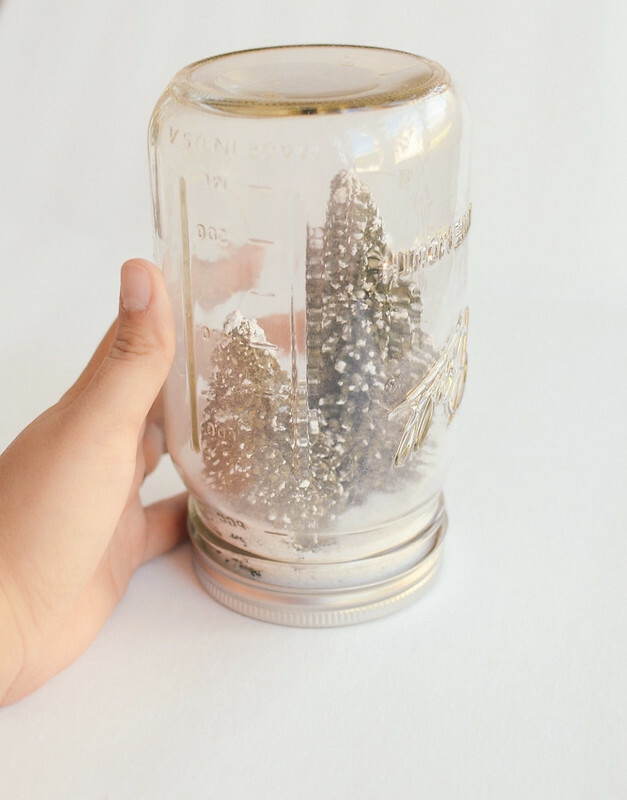 I know everyone is familiar with the Mason jar snow globes, inspired by Anthropologie. 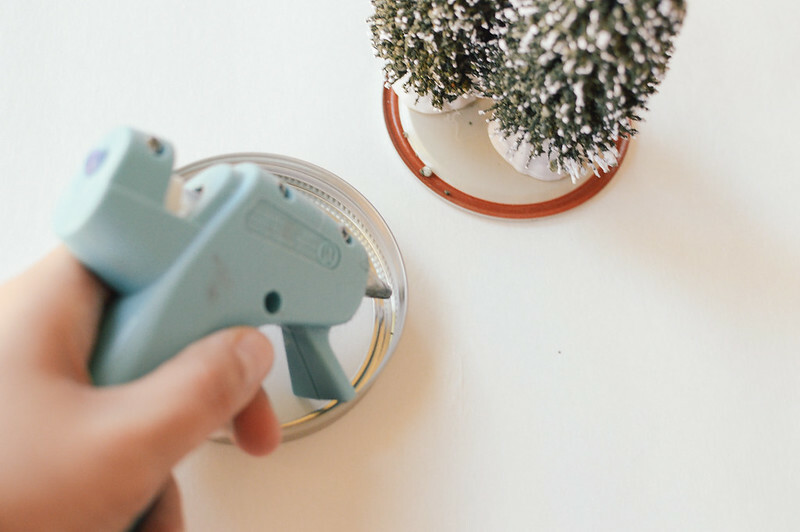 Many have done their own DIY ones at home in a series of simple steps. 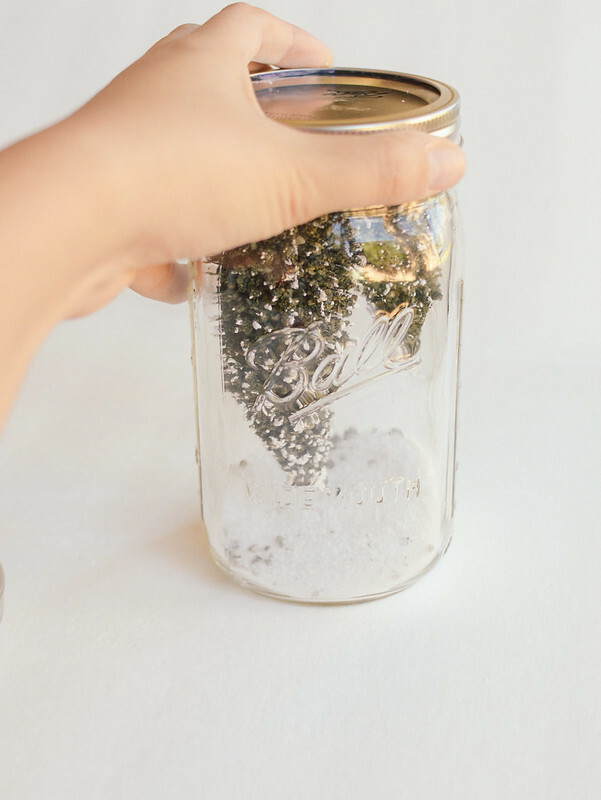 First, many people don’t want to spend lots of money and is a fun DIY project! So, I did some of my own and I want to share this simple tutorial for you to follow! 4. 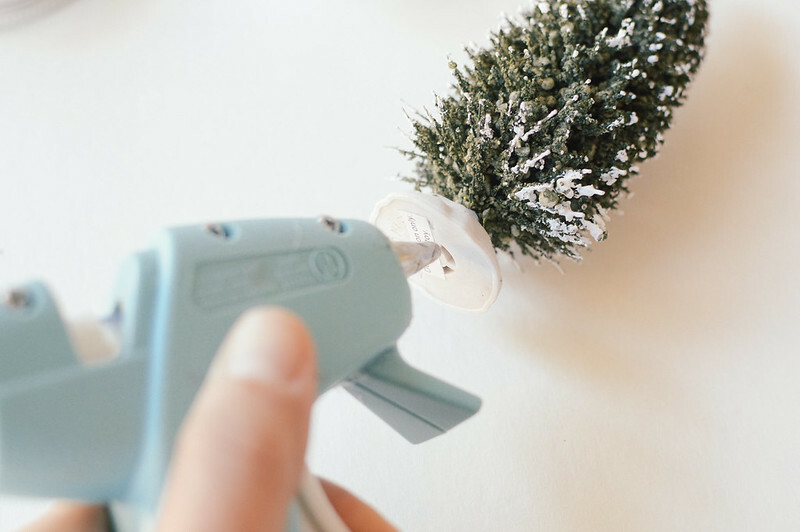 Hot glue gun and sticks. 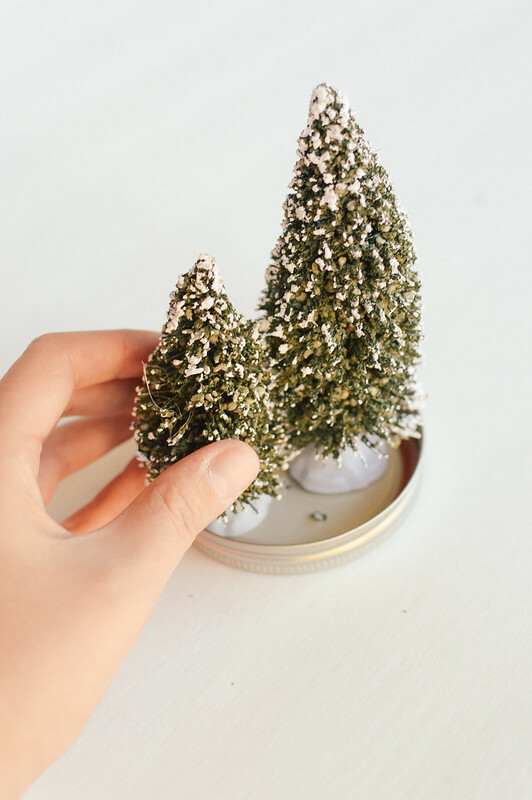 First, glue trees on the inside of lid. 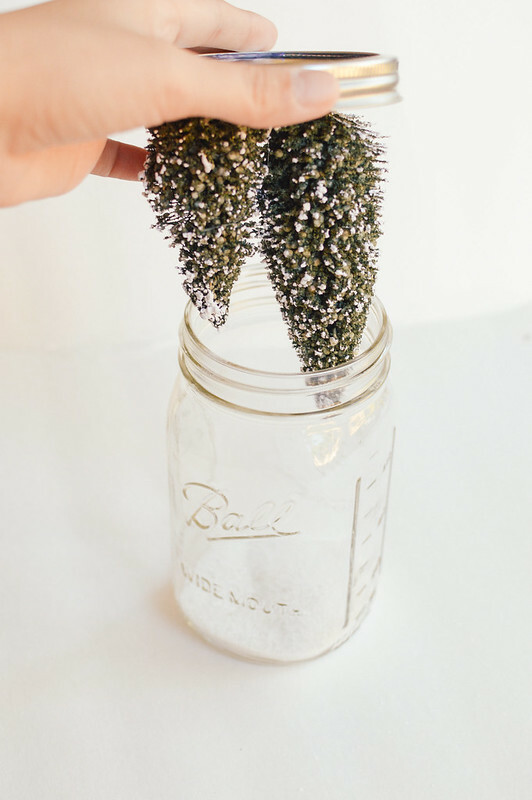 You can glue one or two trees. Make sure to glue closer to the middle. If not the lid would not screw shut. 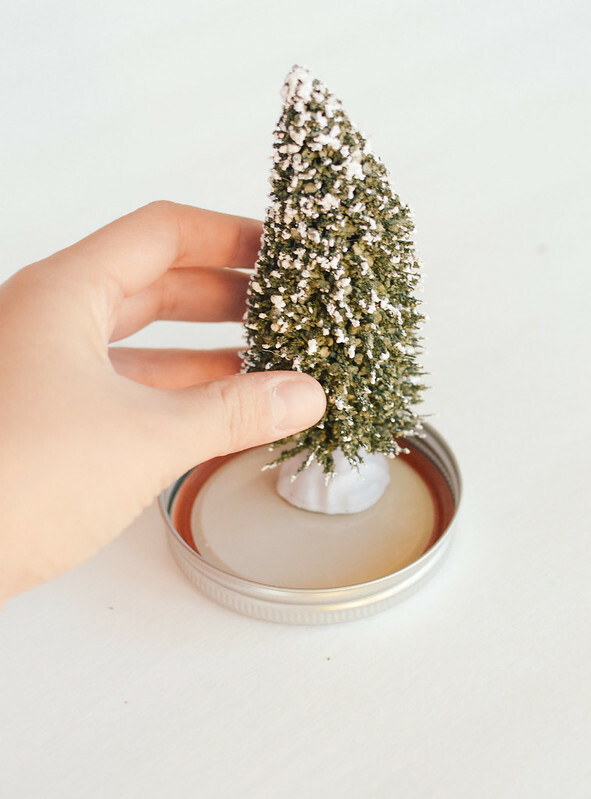 Second, Mason jar lids are lose most of the time, so glue the lid together so it won’t come apart when putting the trees inside the jar. 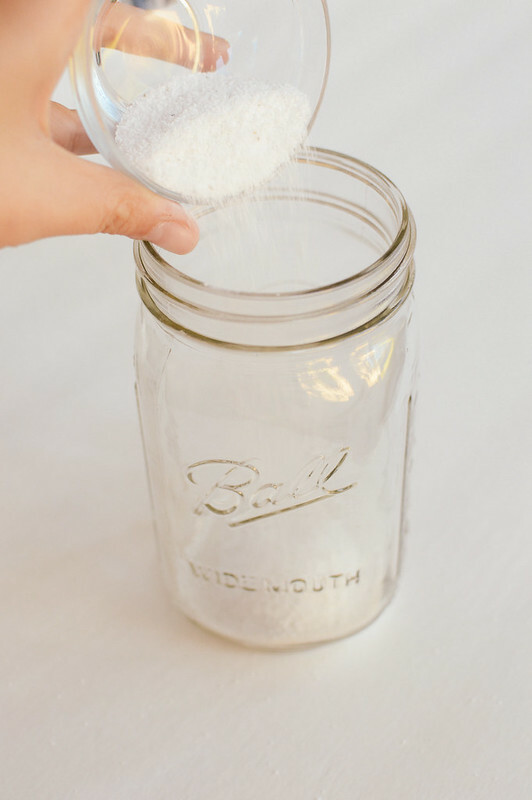 Third, add sand or salt into the Mason jar. You can do as much as you like. I put approximately half a cup or a little more. 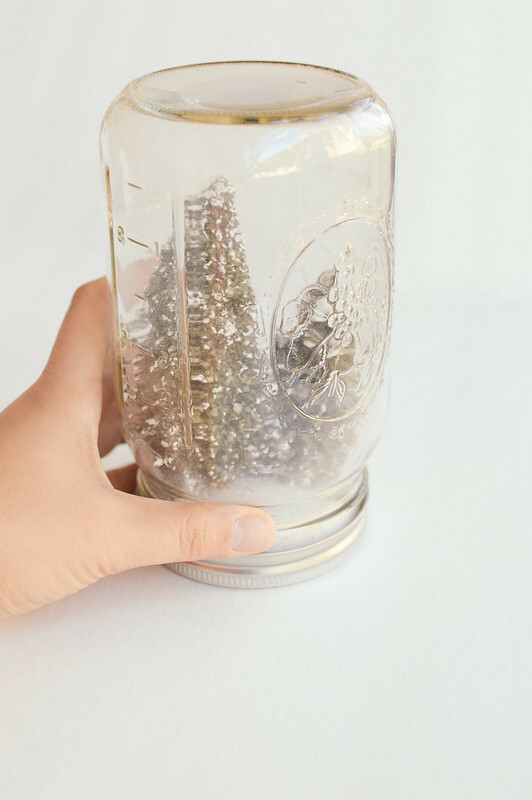 Fourth, introduce the lid with trees inside the Mason jar. Here, be careful because the trees might be slightly bigger than the mouth opening. Push the trees in carefully. I did and it was fine! Voila! 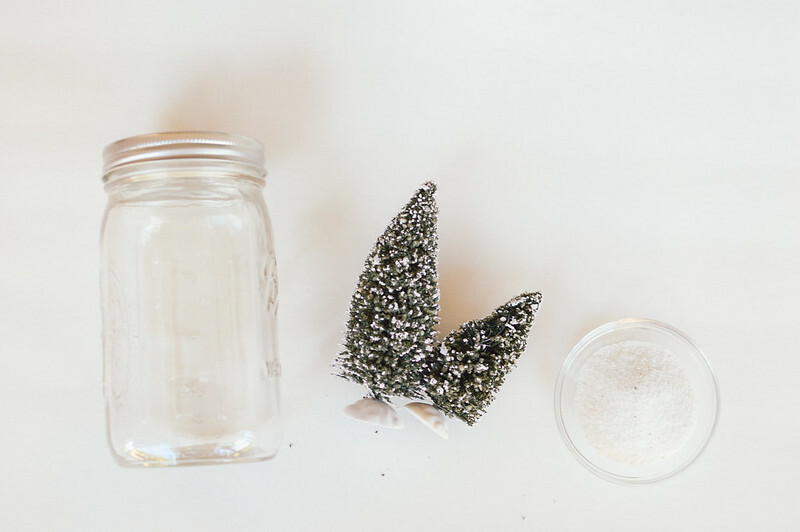 You have a DIY Mason jar snow glob just like that! 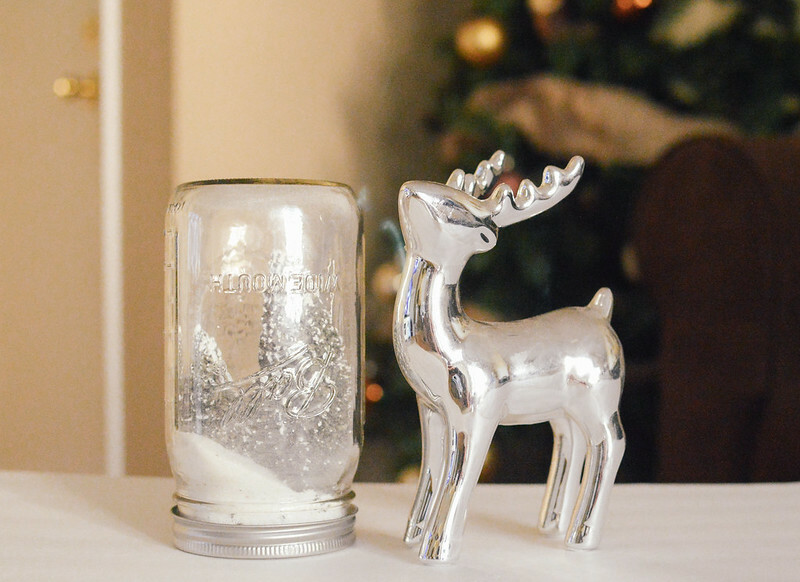 You can make a couple more all different and put them together or put them with your favorite Christmas decorations. Wasn’t that so easy, and fast? So simple and so pretty! I love how it turned out! Hope this was helpful and that you try it at home!